The world is your oyster if you have some good apps to guide you. A memorable experience is a product of a well-planned travel. And how to achieve a well-thought-out travel? Well, the simple presence of a travel app is the answer. Take note of these awesome travel apps to make your explorations the best ones you’ll remember. These will literally save you from the hassles that follow along every travel. Travelling to different places oftentimes comes with the difficulty of getting a WiFi connection. But this app makes the load easier! WiFi Map gives you the convenience of getting around WiFi connections nearby your current location and provides you with WiFi passwords and tips. Establishing a connection can be quite tricky and tiresome, and not all the time you can access the Internet with the kind of speed you need. However, you can seek help from WiFi Map in case you run out of data as this crowdsourced paragon includes over 100 million WiFis worldwide. Getting WiFi Map means you’ll never have to hunt for places that will more likely reject accessibility, but will assure you the luxury of a Wifi connection available around you. The worst time to spend your travels is when nature decides to call and you find zero chance of spotting a restroom. And okay, let’s say you found one, yet its overwhelming sanitation will probably take you forever to decide before you even let an inch of your skin from getting touched. Let these unfortunate events introduce you to the power of SitOrSquat. Spotting a clean public bathroom is made easy and possible by this incredibly useful app. SitOrSquat puts clean restrooms on the map for you to easily track whenever your gall bladders starts to knock. A green “sit” rating is given for locations that have clean restrooms while a red “squat” rating is given for not-so appealing ones. Choose which ones will give you the neatest and most convenient time and help the others know! You can help other users be aware whether a particular restroom gives a favorable or less desirable condition by adding your own honest reviews through pictures and other features. Having long road trips and night drives seem fun until your car runs out of gas. Sure, there’s always one gas station to save you. But what if the gas prices don’t meet up with your left cash? Then it’s about time you shake hands with this roadtrip-saving app. GasBuddy is the ideal companion to fuel your vehicle’s needs. Over 60 million users have placed their trust in this app and have since experience it’s usefulness. GasBuddy gives you the best way to save on gas by providing you the best gas prices available. This is the type of travel buddy you can’t let pass up. No one’s ever saved from weather inconveniences. But there’s always a way to get along with it. 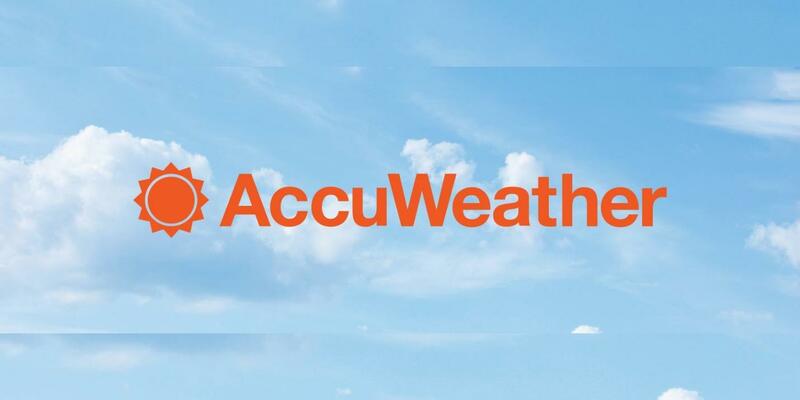 Through AccuWeather, you won’t need to arrive at your destination drenched in the rain or burnt by the sun’s excessive rays. Tracking local weather conditions ahead of time or staying updated daily is the key in turning your travel the same way as you have planned. Before meeting AccuWeather, you’re most possibly burdened by uncertainties and questions about when the rain decides to pour on you. But with this app by your side, you can walk as unafraid and confident from any unwanted weather surprises. Anytime, you can be updated with any rain, storm, ice and snow reports and be aware from any weather alerts. Slay your travel goals and trust on the accuracy AccuWeather assures you to have. XE Currency is one of the most reliable currency converter you can have in your phone. This app allows you to calculate live currencies as well as foreign exchange rates anywhere you might be and at any time you might be in need. This currency calculator saves you from lengthy conversions and provides you with speedy and accurate numbers. You can also keep an eye of your 10 favorite currencies and monitor when its values change. Whether you’re enjoying that fancy dinner out a foreign country or sending cash from someone of another state, you’ll always be aware and knowledgeable. XE Currency will refresh and update every minute to make sure you’re always at a favourable spot. What makes Hopper stand out from the rest is that allows people to not just book flights, but to book flights in the most convenient manner. As a traveller, you will be guided on when’s the best time it is applicable for you to buy and where the cheapest possible prices for a plane ticket are. By using this app, you’ll be giving yourself the confidence that you are not just simply booking and spending money but you are planning for a well-coursed travel and saving money in a smart and productive manner. If you find yourself in the category of travellers who spend a long time packing their belongings but still end up missing important valuables or bringing too much unnecessary things, here’s one to help you out. With PackPoint, you won’t have to worry about forgetting your travel essentials or bother anybody with your luggage. PackPoint makes way for a more comfy yet accurate packing by guiding you on what you will need to pack depending on how long your trip will be, what weather your chosen location will take and on what activities are prepared during your trip. At any place you may go, you’ll possibly find a sprawling number of restaurants that offer the tastiest cuisines of pork, seafood and beef choices. However, spotting a Vegan and Vegetarian restaurant or store may probably take a longer time than expected. There’s not too many restaurants that give vegans and vegetarians the place where they can easily relax and enjoy a satisfying meal. HappyCow is the app that changes the game. This app highlights Vegan and Vegatarian spots near your place and lets you explore many things about a particular place. Discover where these are and get accommodated by the warmest people while indulging in a healthy treat.